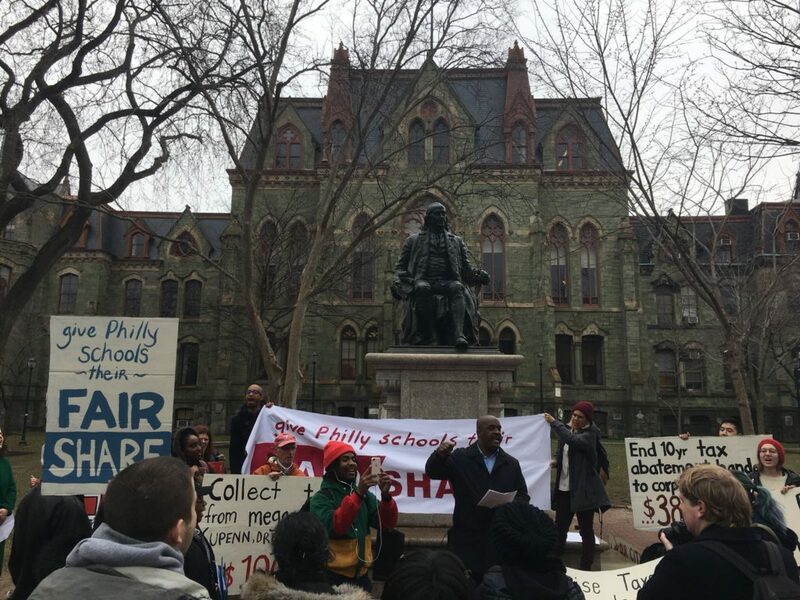 In November 2017, Mayor Kenney called for Philadelphia Public Schools to return to local control, while making a bold commitment to fix the nearly $1 billion deficit facing our schools over the next 5 years. In March 2018, the Mayor announced his budget proposal to solve the looming deficit. We applaud the Mayor for his leadership on taking responsibility for funding our schools. But we know that our schools need more funding than simply closing yet another budget deficit — our top priority must be creating the schools our children deserve. This means an even larger investment in our schools, so that our students, educators and parents can begin to envision what it would look like to have smaller class sizes, fully-funded extracurriculars and healthy buildings to name a few. 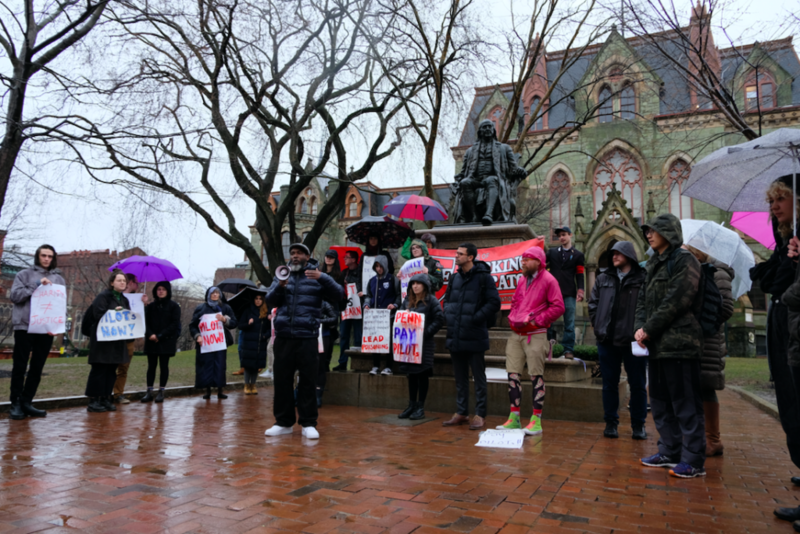 Universities like Penn, Temple and Drexel and hospitals like Jefferson are among the biggest property owners in the city, but pay no property taxes. These institutions are not charities but big businesses who depend on city services. Mayor Kenney has cited Boston as an example of a “meds and eds” city raising $35 million from PILOTS. We believe Philadelphia, with an estimated $13.6 billion in exempted property, the most in the country, should be able to do better. that these properties should be reassessed because of the possibility that they are undervalued by as much as 50%. This accounts for the range in estimated revenue. As recommended by then Mayor Rendell’s 1994 Executive Order on PILOTS, we propose an exemption for nonprofits that own less than $15m of exempt property and pass the HUP test on the definition of a non-profit. 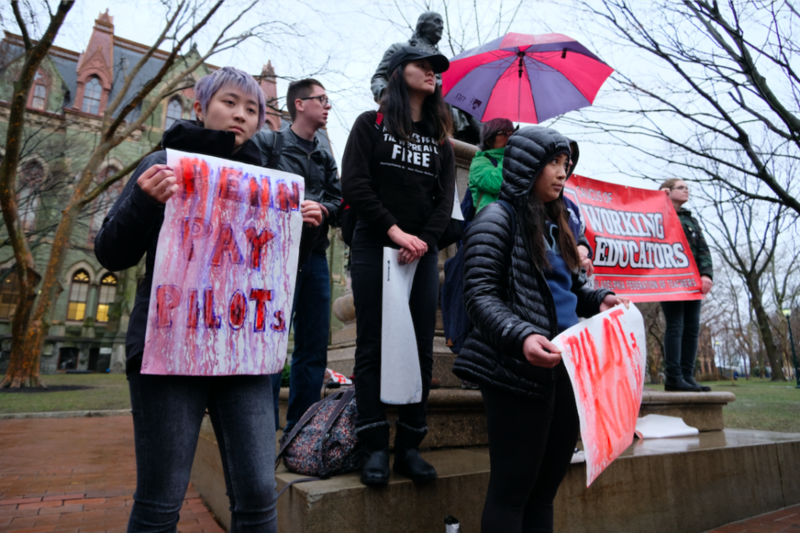 TAKE ACTION: Click here to sign the Penn community PILOTs petition! Philadelphia is no longer a city with few economic prospects — Center City is proving to be a robust economic engine and “the fastest growing place to live” in Philadelphia. After 17 years of successful development incentives, we no longer need to give tax handouts to large corporations at the expense of our schools. We are pleased with the increased scrutiny on the tax abatement program. Those calling for reform have named a few possible ways to end the tax abatement program — by zip code or by property value amount for example. We are calling for a complete end to the abatement program. The abatement program has served as an unearned privilege, resulting in windfall profits for developers while costing our schools millions of dollars. The bulk of the revenue brought in from ending the abatement would be from high-end luxury developments such as apartment buildings and condominiums. We also believe it is vital to look at the racial breakdown of who has received abatements, both from individual home sales and from high-end development. This year, the Center for Investigative Reporting reported on how redlining practices are continuing to make it difficult for African-Americans to receive home loans. We believe that this redlining practice could mean that the abatement program intensifies racial discrimination in housing ownership. While racial data for the abatement is not tracked by the city, we believe this could be estimated using Census tract data.